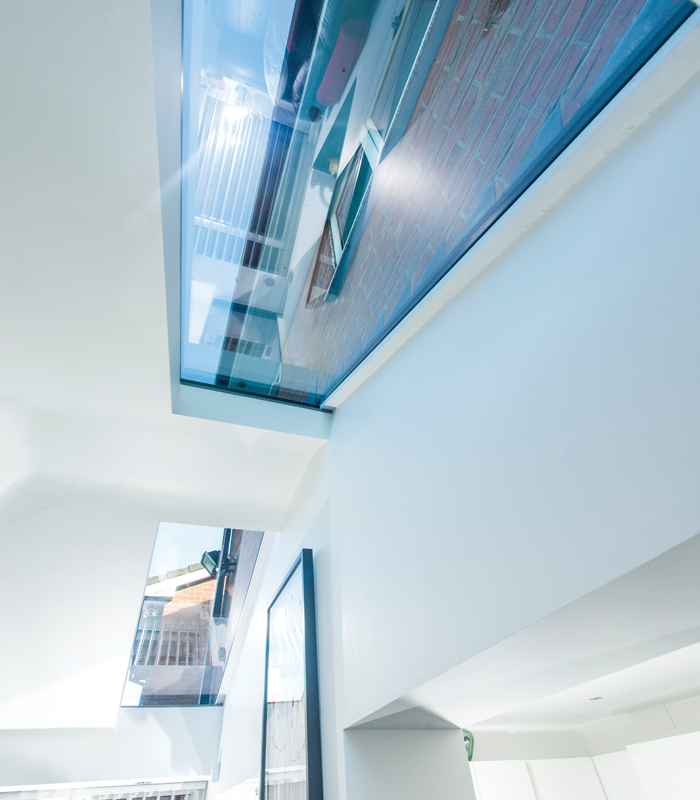 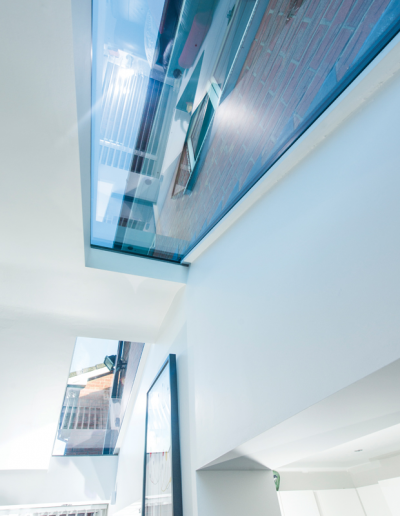 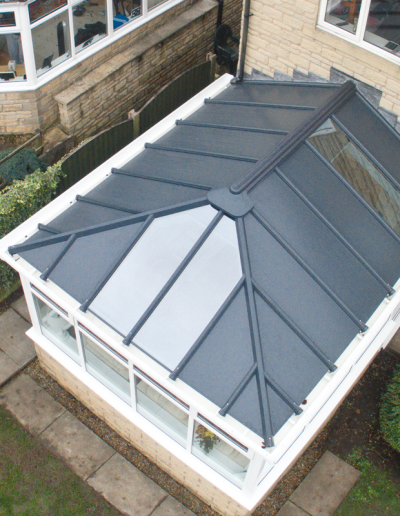 LivinRoof is the only roofing system designed to give the flexibility to combine solid and glazed roofing seamlessly. 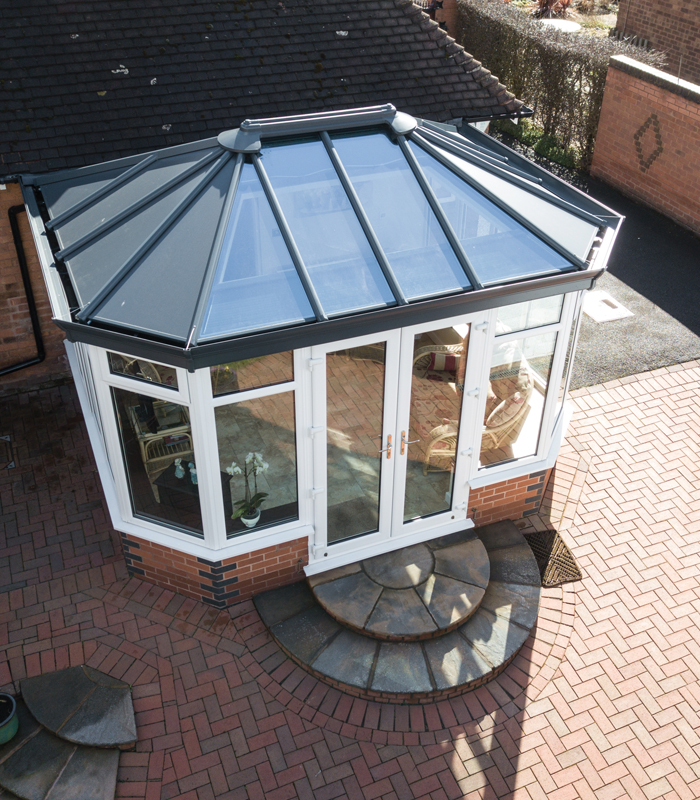 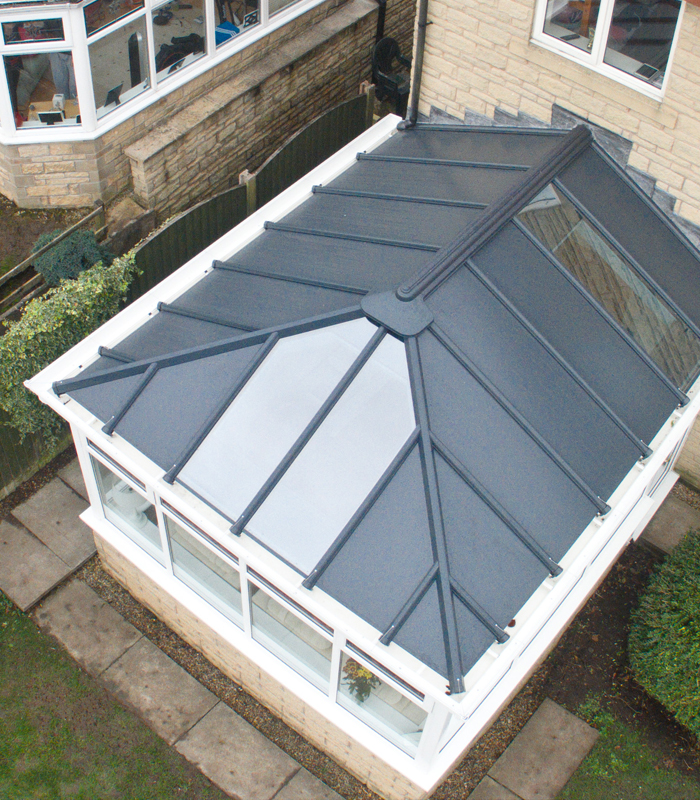 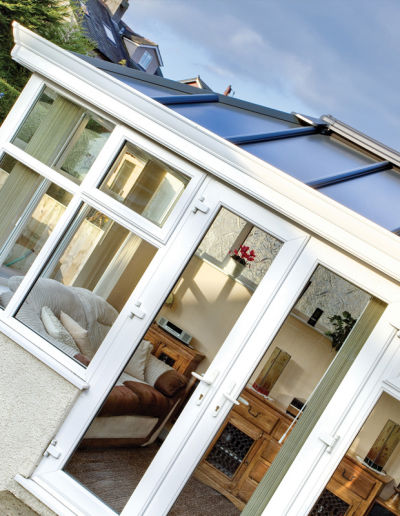 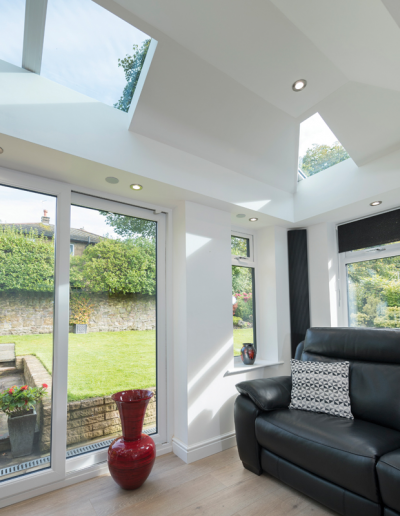 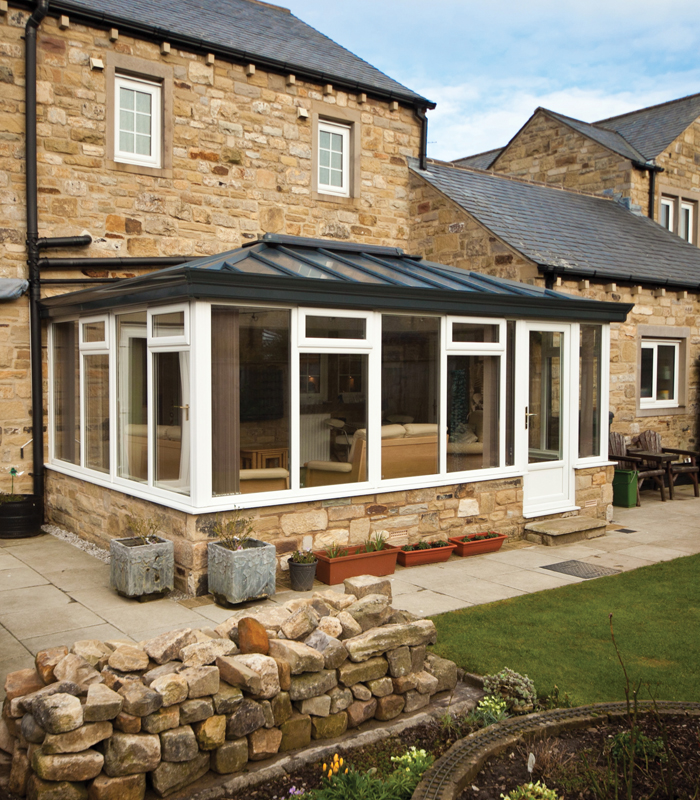 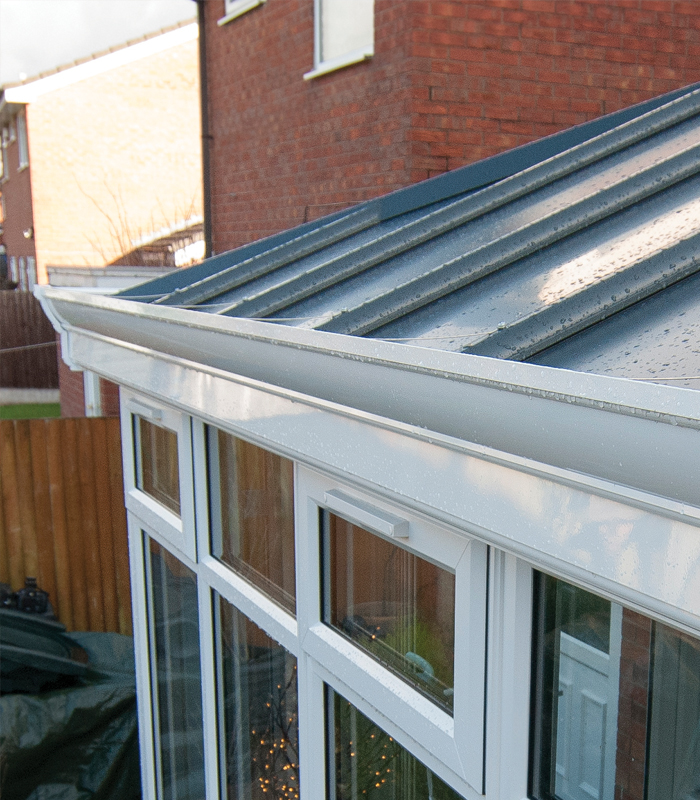 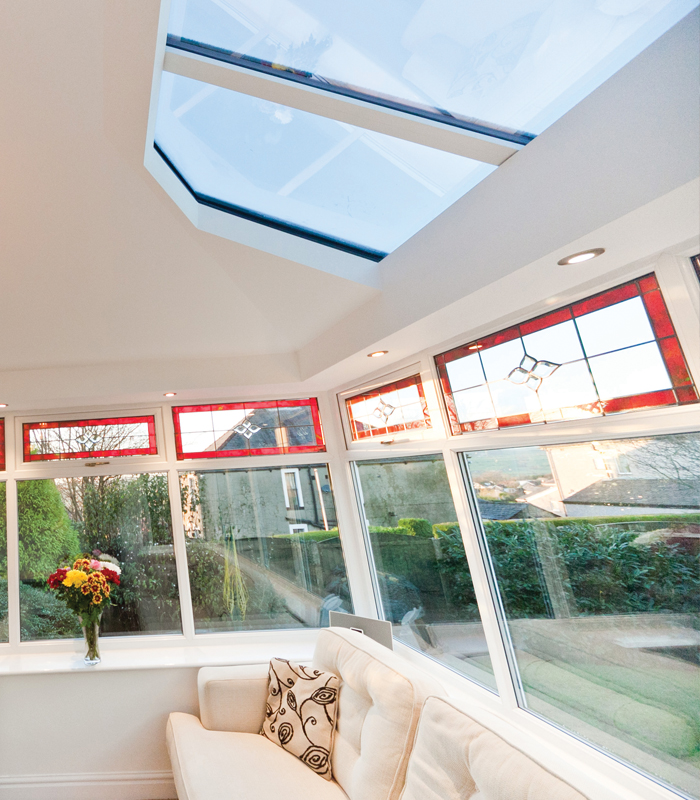 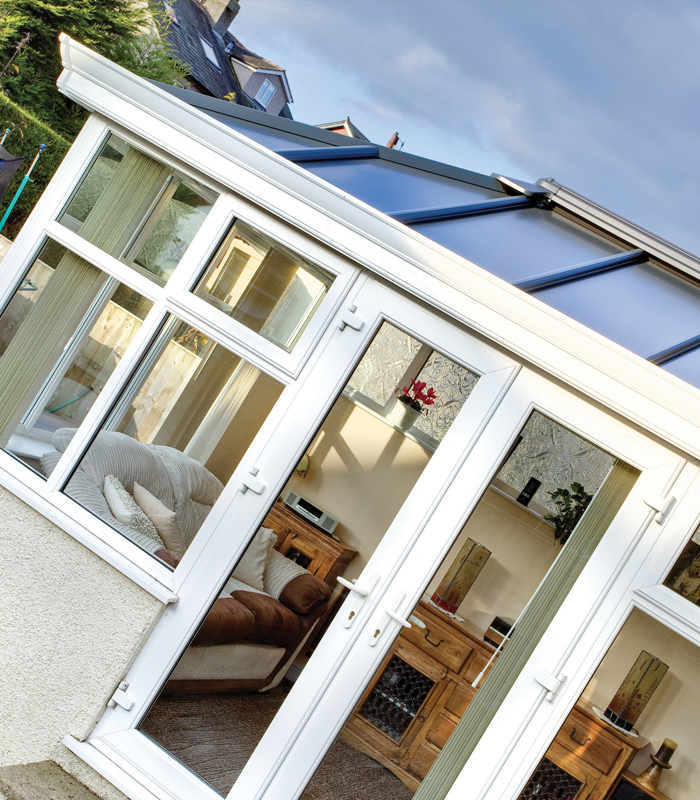 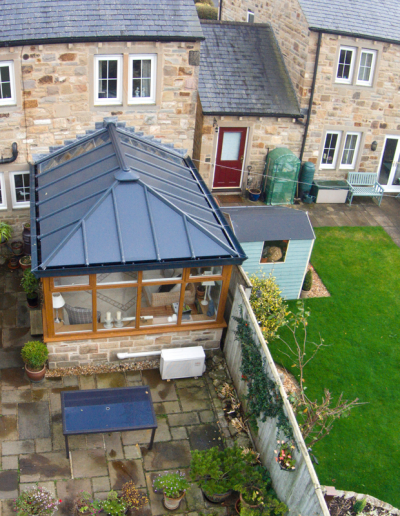 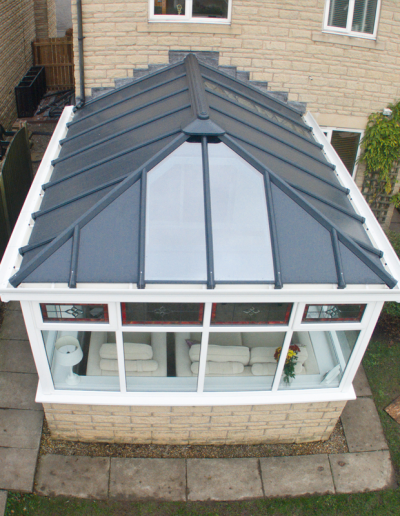 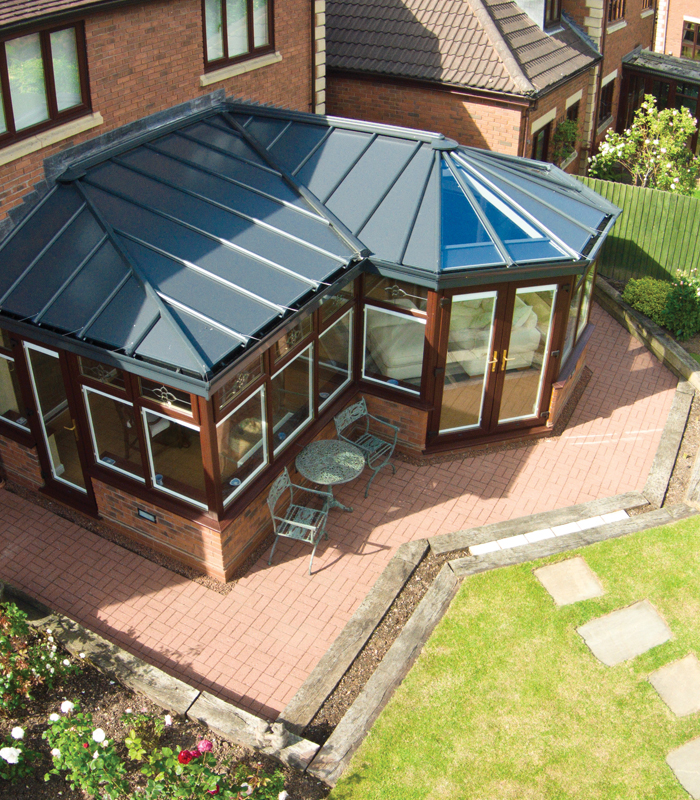 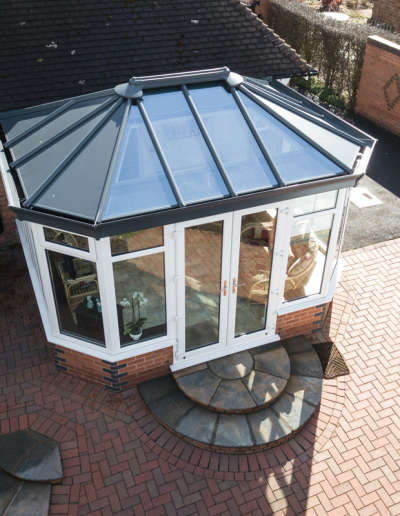 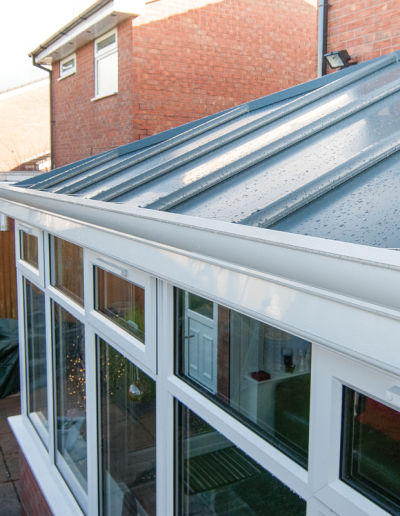 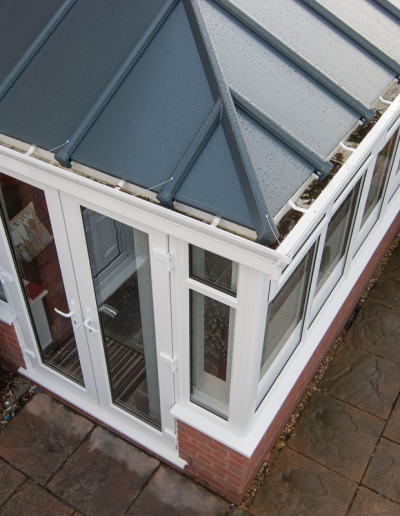 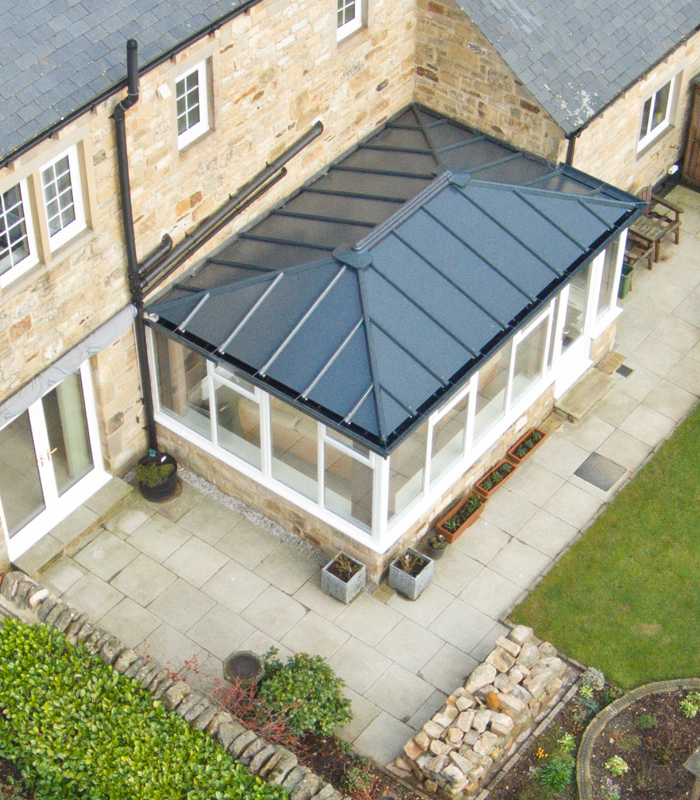 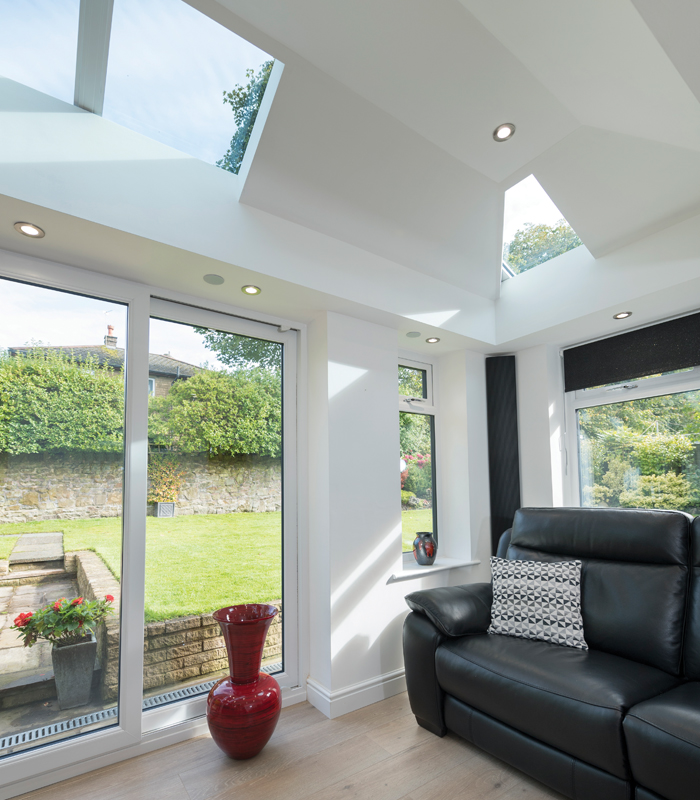 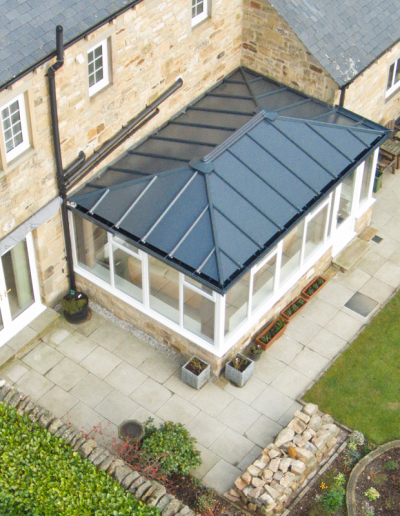 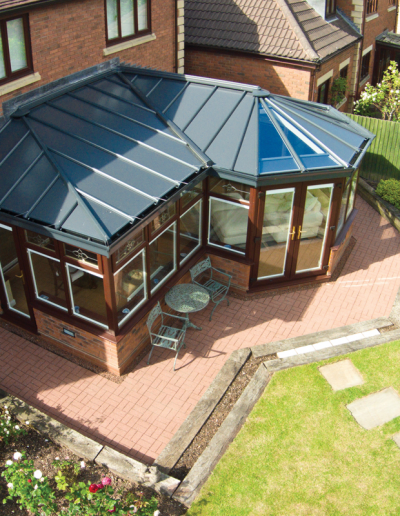 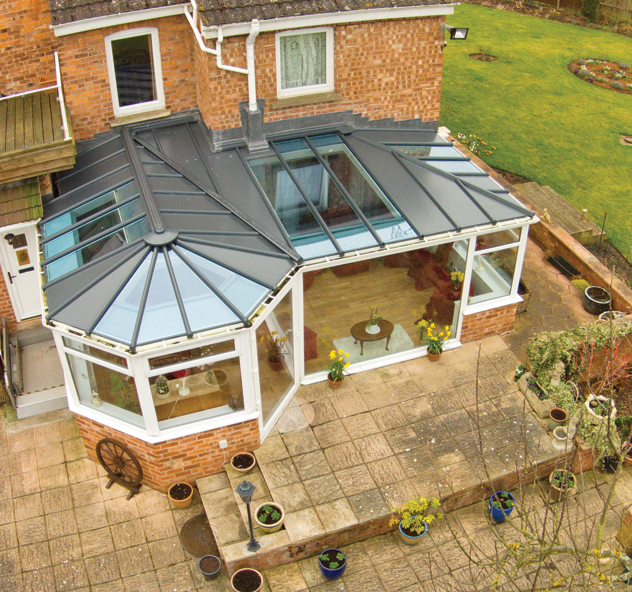 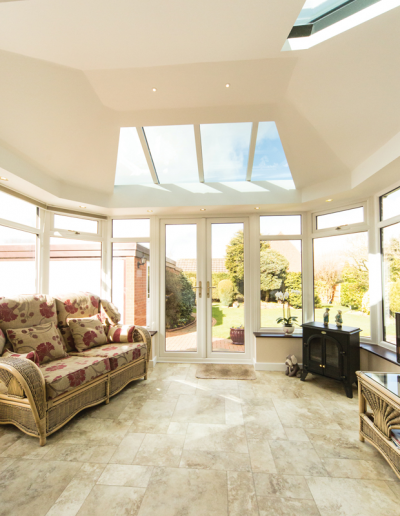 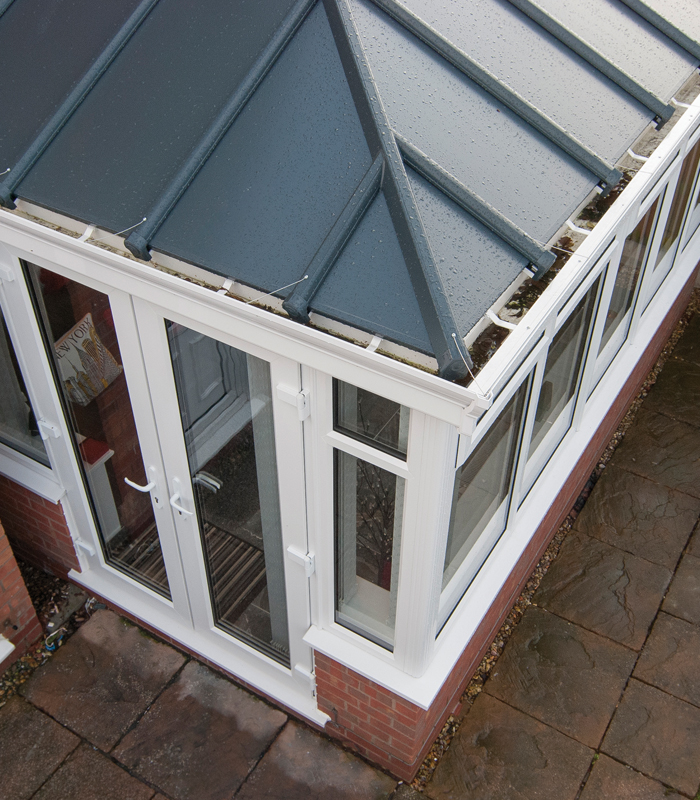 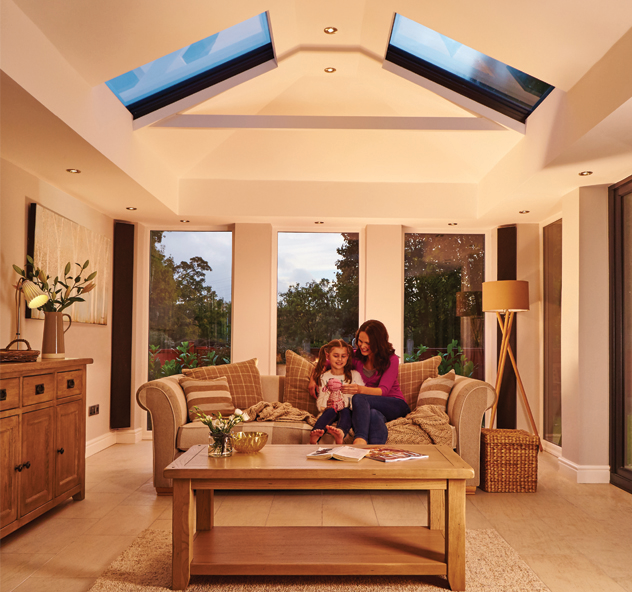 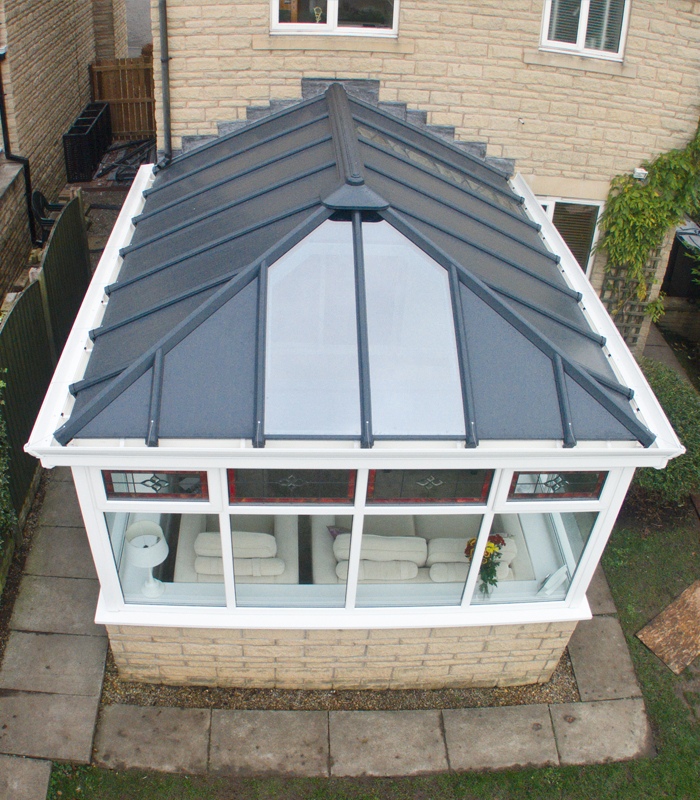 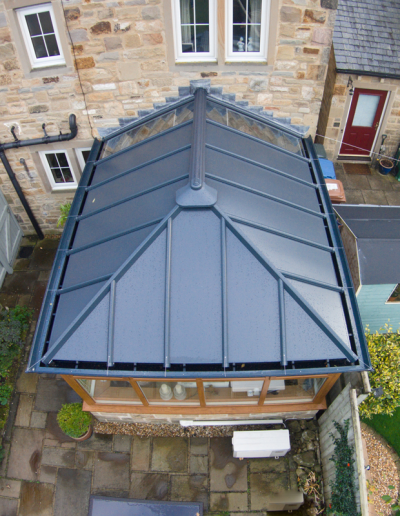 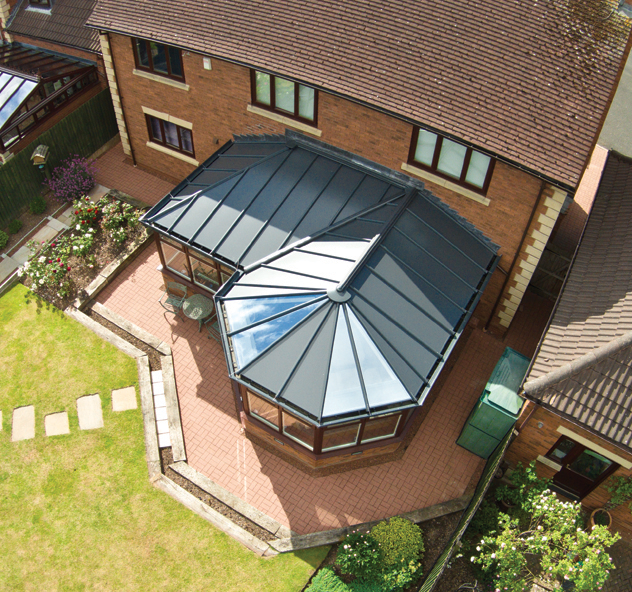 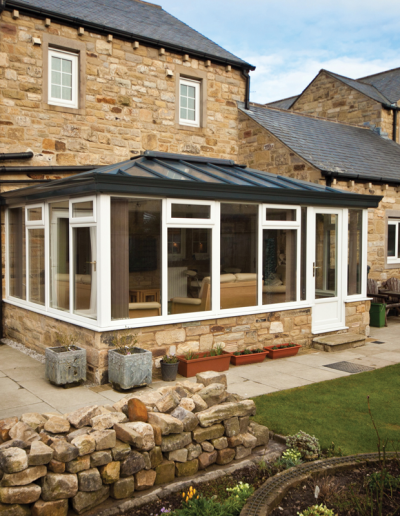 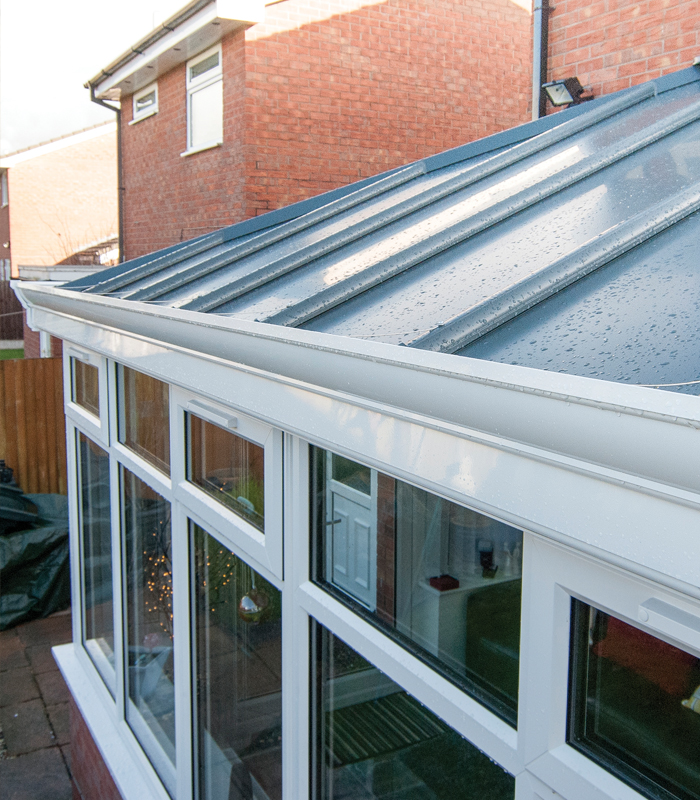 Offering the best of thermal performance of the range LivinRoof provides a conservatory that is guaranteed to offer maximum use any time of year. 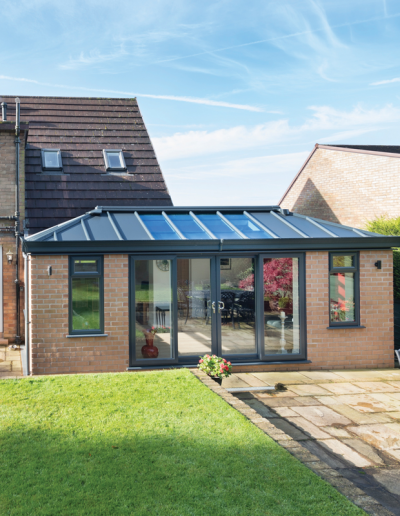 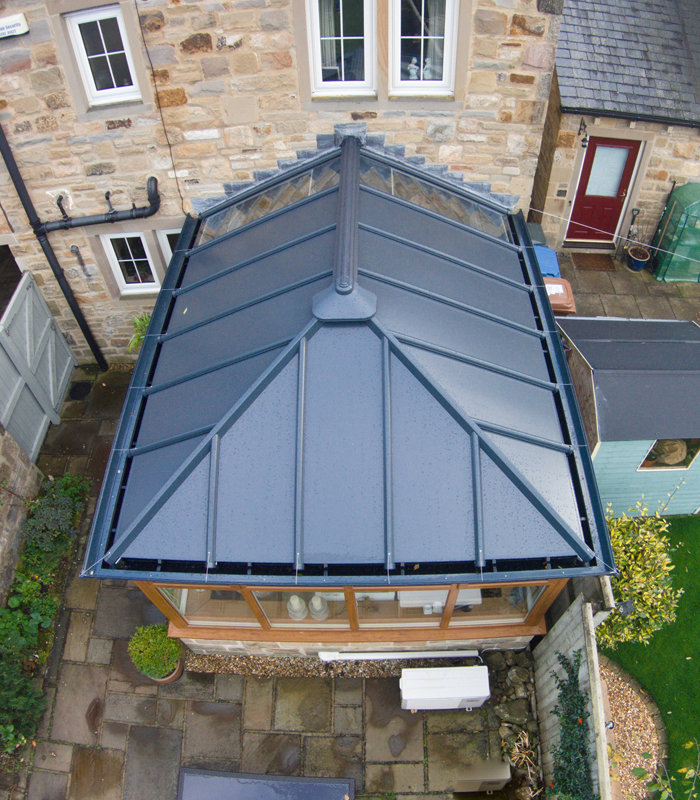 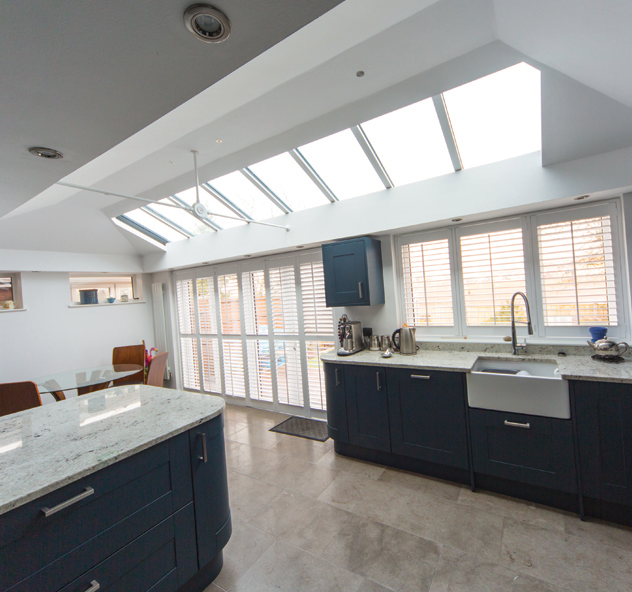 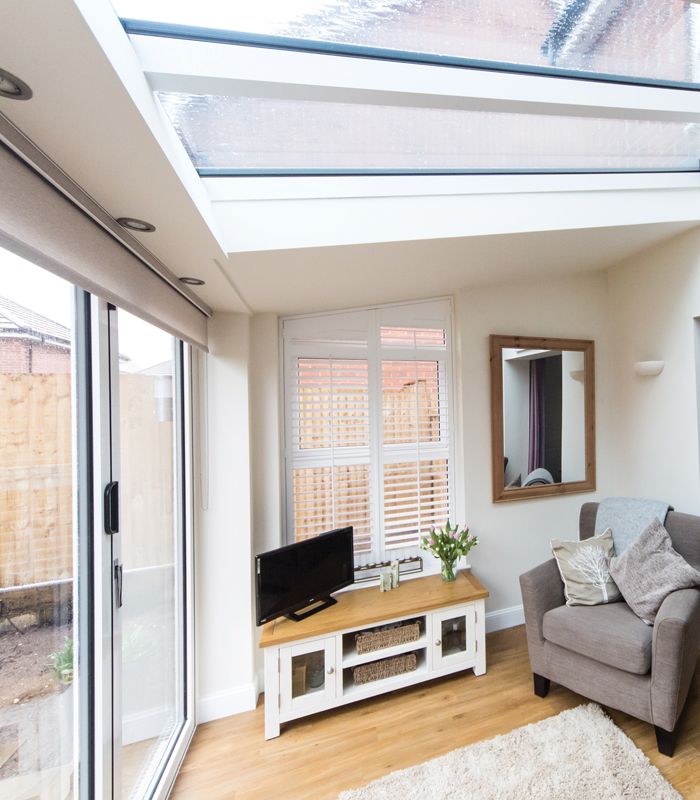 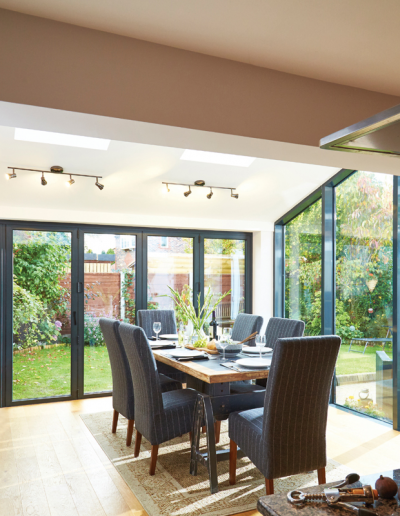 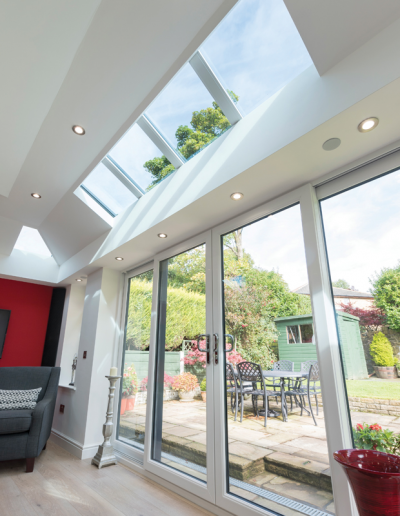 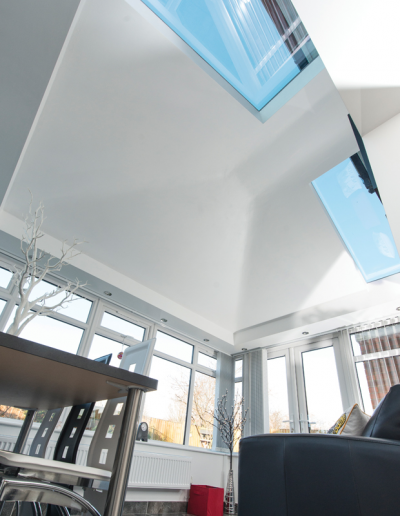 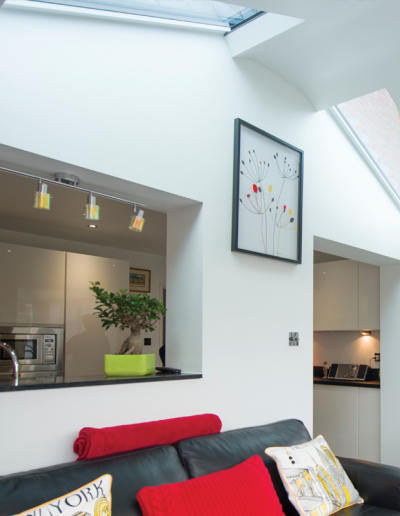 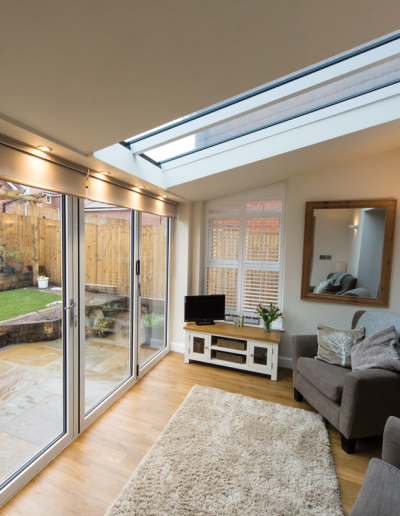 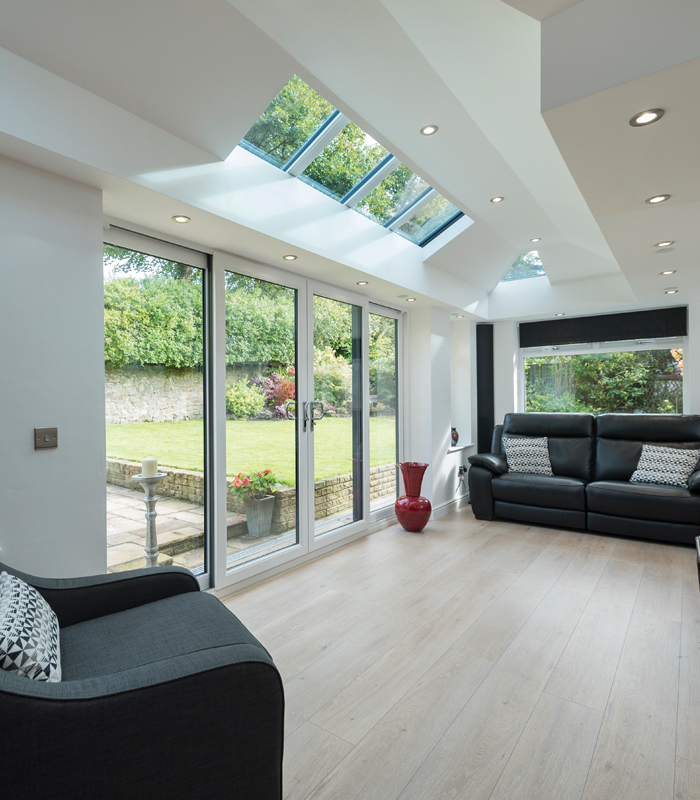 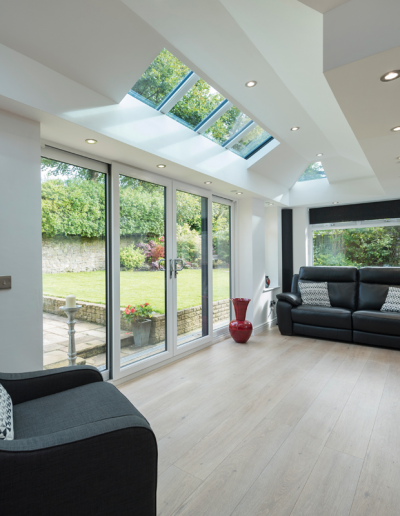 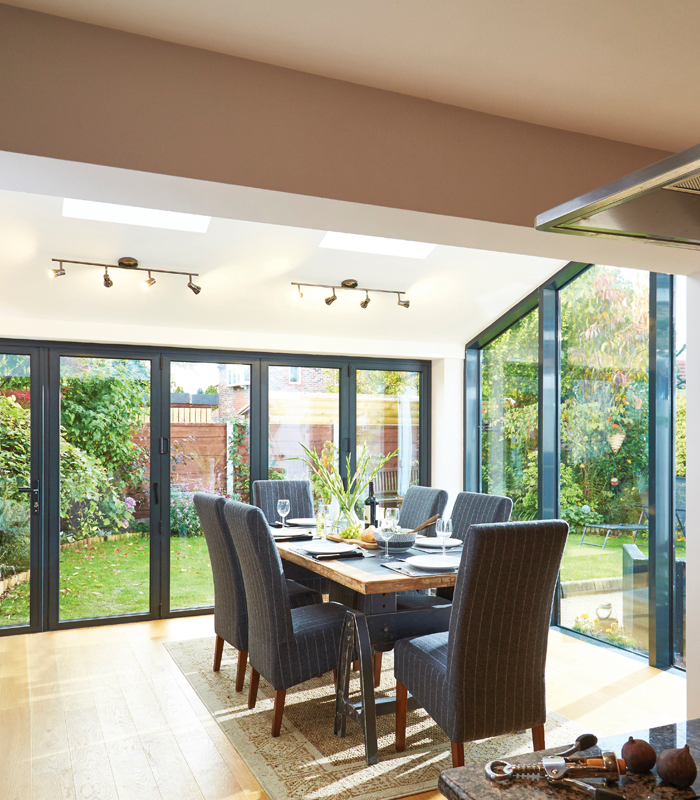 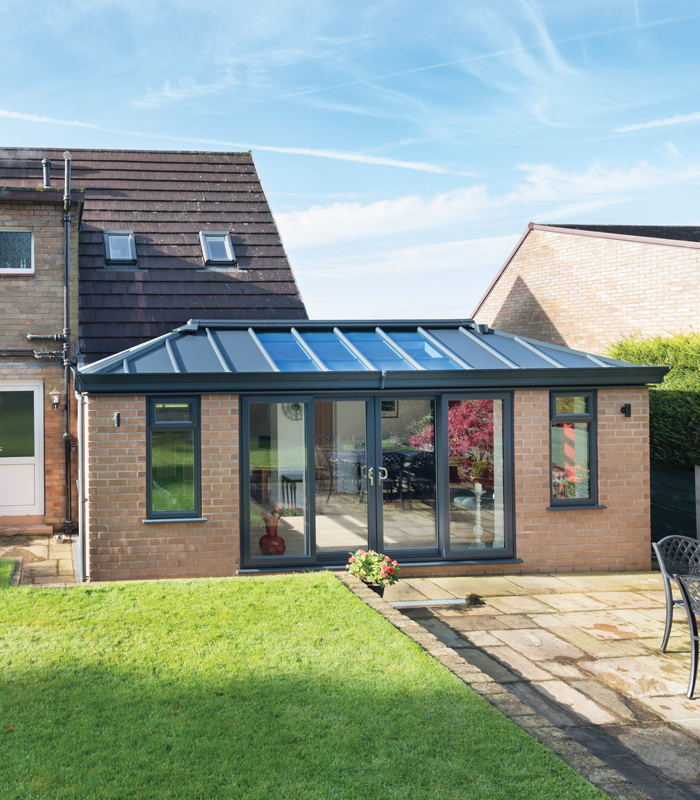 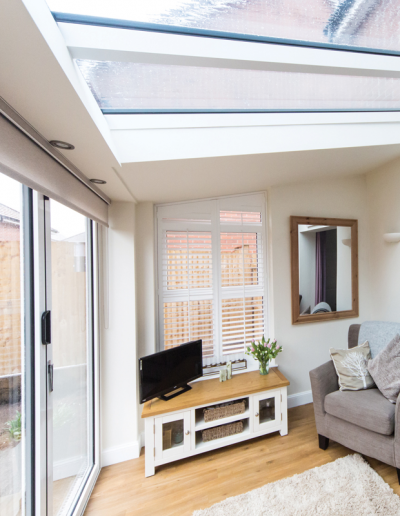 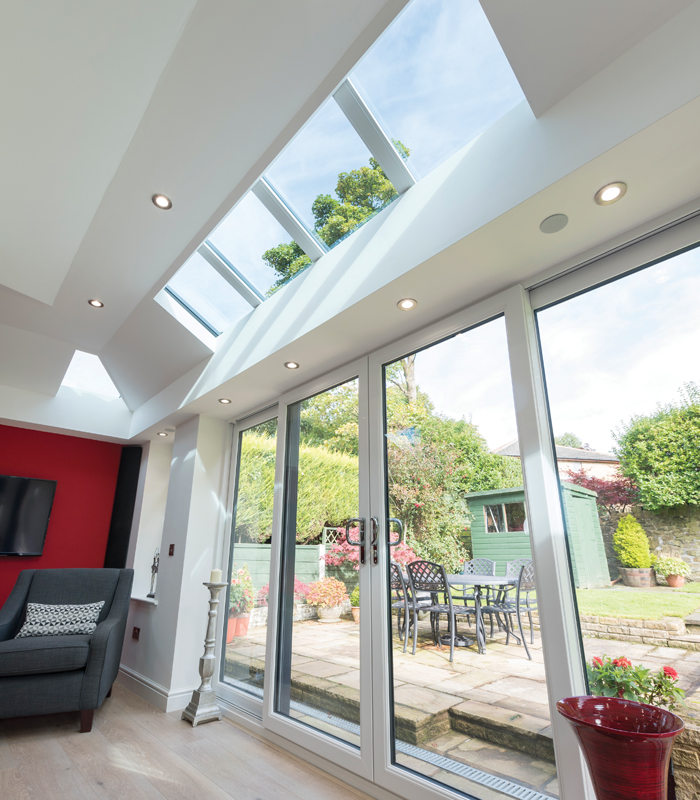 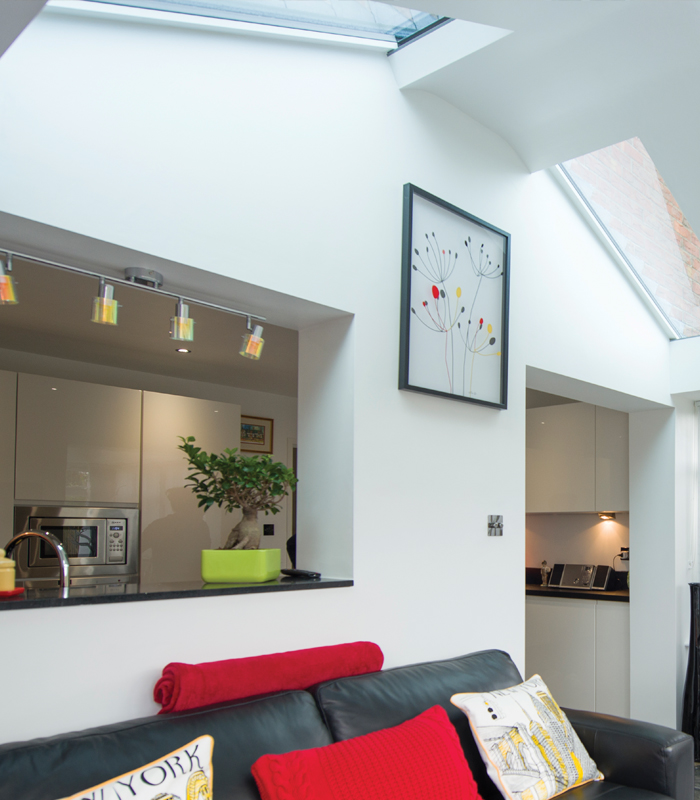 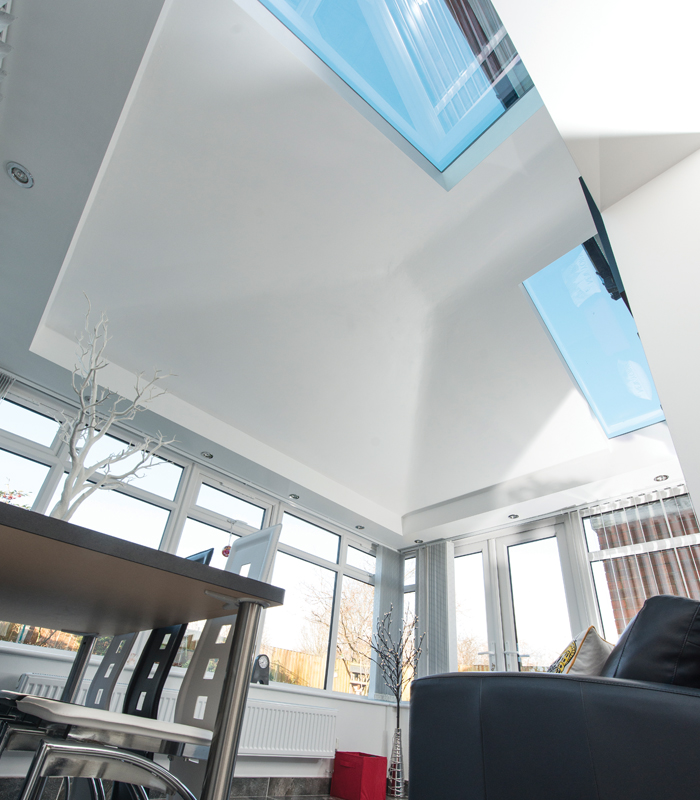 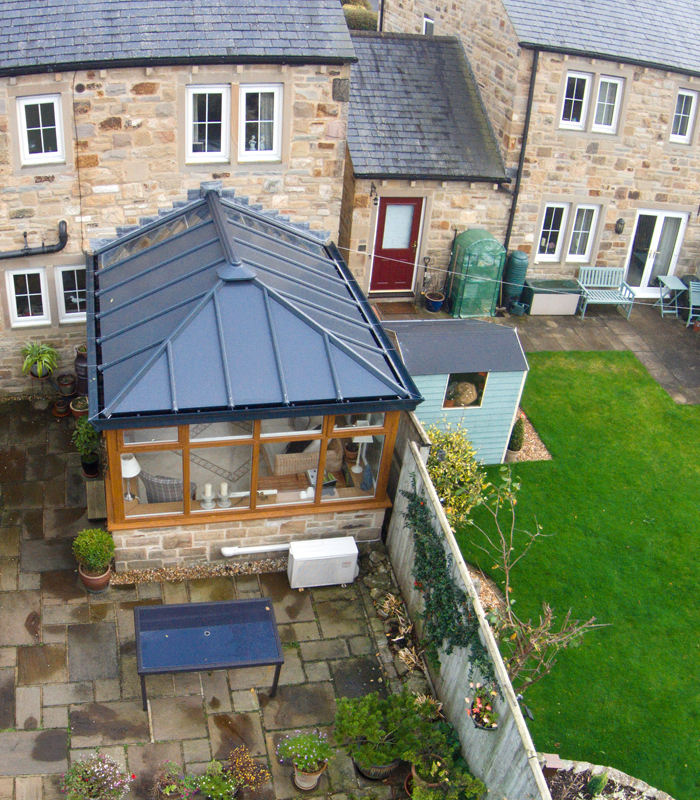 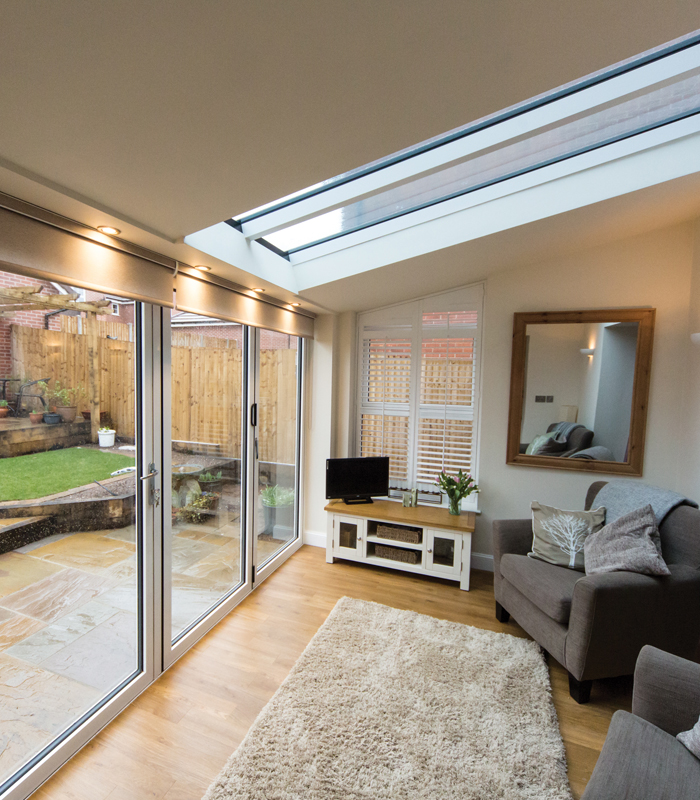 Whether you are constructing a new home extension or replacing an old existing conservatory roof the LivinRoof provides total design flexibility and the ability to create stylish and thermally efficient rooms like no other solution on the market. 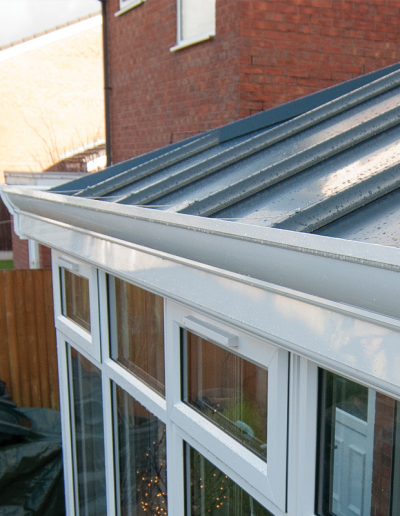 With insulated composite external panels and a high performance PU board insulation, the LivinRoof is one of the most versatile and robust systems you can buy. 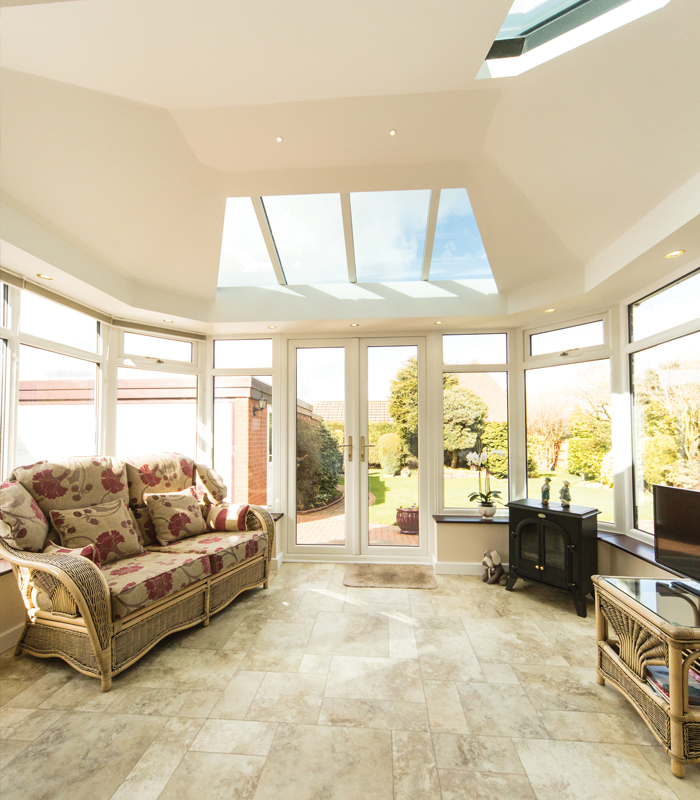 Finished with a striking vaulted ceiling and internal pelmet the finished product is truly unique to the market.